"The groundswell of opinion that tenants’ rental payments should count towards their credit report is beginning to drive real change in the industry." A new platform has launched today that links tenants’ rental payments with their Experian credit report. The Credit Builder platform is designed to help tenants improve their credit history by building up a validated rental record which they can share with future landlords as well as mortgage providers and other lenders. By encouraging tenants to pay their rent on time Credit Builder helps to reduce rental arrears for agents and landlords, while also generating mortgage enquires from tenants that are ready to buy. The launch of Credit Builder follows a petition which gathered around 150,000 signatures calling for rental payments to be taken into consideration when deciding if someone can afford a mortgage. MPs recently pushed for rental payments to be included in consumers' credit scores. The Creditworthiness Assessment Bill states that all firms carrying on credit-related regulated activities, including mortgage lending and providing credit scores, should be required to “take into account rental payment history and council tax payment history when assessing a borrower’s creditworthiness”. MPs from across political parties have been working with companies such as Experian to explore ways in which people’s rent can be used to improve their credit rating. With Credit Builder tenants will consent to the use of the rent reporting service as a condition of their tenancy agreement. Their details will then be imported into the Credit Builder platform and each subsequent rental payment they make will be automatically reconciled and reported to Experian. Tenants wanting to review their rental record and connect with Experian to check their credit report will be able to do so via the Credit Builder app, which will also provide access to savings and loan offers. Henry Yates, founder and CEO of Credit Builder, said: “The groundswell of opinion that tenants’ rental payments should count towards their credit report is beginning to drive real change in the industry. 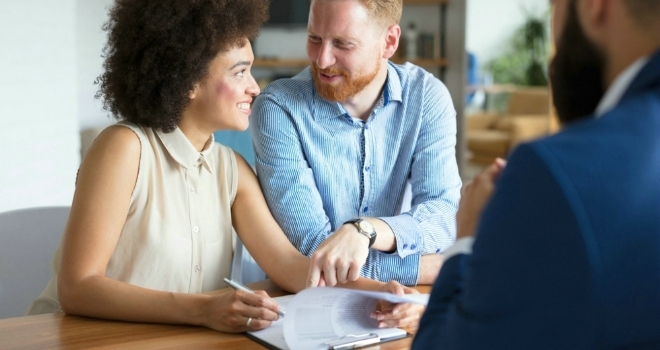 Many renters are understandably keen for this to happen as they view it as good opportunity to enhance their credit score and improve their chances of being approved for a mortgage. With this in mind agents should consider offering a rent reporting service as this is likely to become an important consideration for new and existing tenants, as well as landlords.